Shelly Graf has been practicing at Common Ground since 2003. They are currently being trained by Insight Meditation Society as part of the four-year teacher training program. They are a staff dharma teacher, like Mark Nunberg, the Guiding Teacher. Currently they teach a variety of programs at the center including co-leading residential retreats with Mark Nunberg and Wynn Fricke. Shelly’s administrative role includes partnering with the Guiding Teacher to develop and clarify the center’s vision, policies, and priorities. 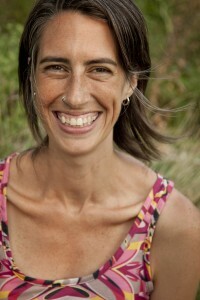 Professionally, Shelly has been a clinician and administrator in the Social Work and mental health fields since 2005. They have a special interest in waking up to whiteness as part of this total path of awakening. Whatever Shelly’s role may be, they will always be a grateful student of Buddhist Practice first. To listen to Shelly’s talks, click here.